Birgitte Refslund Sørensen is Associate Professor at the Department of Anthropology in Copenhagen. With her background in conflict studies and political anthropology, Sørensen has been both practitioner and researcher on issues of post-conflict reconstruction for the United Nations Research Institute for Social Development and the Danish Refugee Council. Her latest publications include ”Veterans’ Homecomings”, Current Anthropology; ”Public commemorations of Danish Soldiers”, Critical Military Studies. Eyal Ben-Ari is Director of the Center for Society, Security and Peace at Kinneret College on the Sea of Galilee. His main areas of research are the sociology of the armed forces, early childhood education, and popular culture in Asia. Among his recent books are (with Zev Lehrer, Uzi Ben-Shalom and Ariel Vainer) Rethinking the Sociology of Warfare: A Sociological View of the Al-Aqsa Intifada (2010), (with Nissim Otmazgin) The State and Popular Culture in East Asia (2012) and (with Jessica Glicken Turnley and Kobi Michael) Social Science and Special Operations Forces (2017). Chapter 5. 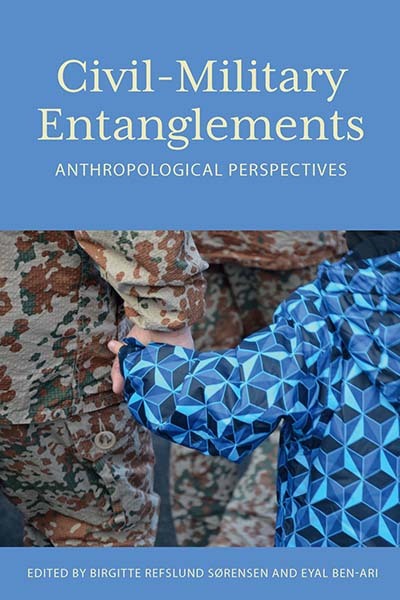 From Obligatory to Optional: 30 years of Civil-Military Entanglements in Norway?